dress cupcake toppers with Composing Hallelujahs. Another amazing cake. I love the stained glass on this one! The rosary on this cake is adorable. Here’s a georgeous cake from Delictble Eatables. 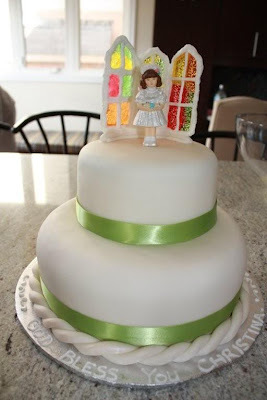 I love this idea for a first communion dress cake! Memories of a Catholic Wife and Mother. 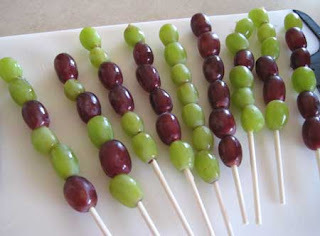 but you obviously need to forgo the garnishes. adorable addition to first communion food. I've done literally hours of 1st Communion Cake research. I had it all planned out to be made by a local specialty cake baker. [I've also been watching TLC's Cake Boss a lot.] But when I figured out most attending the party won't or can't eat cake – I decided to try making it myself… thinking I'd save money! I wanted something VERY special, not just a plain box cake or cheapo from Sams Club. I've made some test cakes and came up with my favorite recipes (which you can see on my blogs.) But since I've never done this before, I spent more on supplies than to have it made, yet now I can make cakes for any occasion! This is a great post idea. My daughter makes her 1st Comm on Sunday, so not much time for changes. But I'm considering now posting my research! And I completely forgot about the breakfast idea Pinewood Castle had until you posted it! THANKS FOR THE REMINDER! 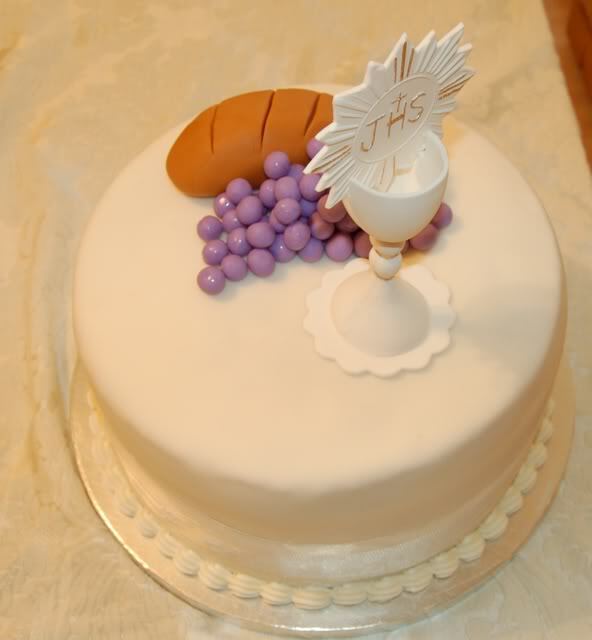 Also, be sure to visit my blog for Holy Week to try my sweet Communion Bread recipe which would be great for this occasion! I love the first idea, but I came up with a variation that you could do with it. If you only wanted to make one and put it on top of a cake, like the third one in your post, you could take a picture of the child who will be making her first communion and glue a picture of her head and arms onto the little dress. My daughter's class has done things like that in the past and they always come out cute. You could even glue a little tulle onto the head to make a veil. I have such creative readers! I love all of your ideas for decorating first communion cakes. 😀 Keep sharing! LOVE all of those ideas. Thank you for sharing!!! My daughter is celebrating her first communion in just 3 short weeks. Seems like she was just baptized!! I've been trying to figure out the menu. I want to keep it light since I live in the south and it's already warm out. 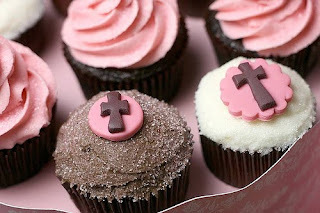 I also wanted to do a dessert bar but wanted to make it girly along with obviously tying in to the religious aspect. 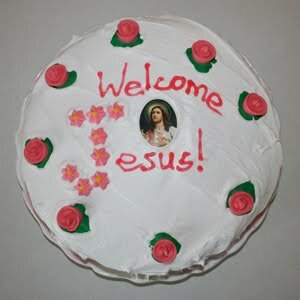 I am humbled by the fact that you shared my amateur cake. Thank you for doing so and for sharing your research on First Communion cakes. 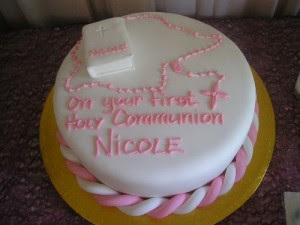 I know where to come for cake ideas, when my next child is preparing for First Holy Communion. Oh my goodness! I love the Barbie cake idea! 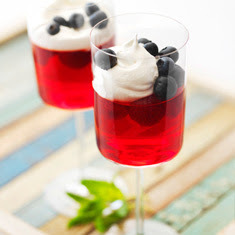 The other Communion ideas are more my speed! 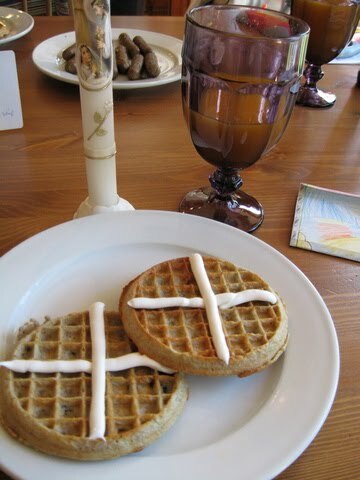 The grape bread…the jello wine glasses and the waffles! My son makes his Communion in 6 days! Here is the one my daughter had for her first communion http://www.idreaminsugar.com/?page_id=3&g2_itemId=575 – a friend made it for us. Now I need to think of one for dd2. I love the cookies, the cakes are so lovely as well. You surely have the best and memorable holy day. Very nice inspiration. Thank you.